Cerebral Refreshment by the Barefoot Executive: Why World Cultural Festival? Comments Comments Off on Why World Cultural Festival? I googled the phrase ‘celebration of diversity’ with a few key word variations. 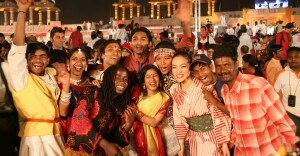 I learnt that the UN has sanctioned a day to celebrate and honor the world’s cultural diversity. I was impressed with the goals and ambitions set out by this great organization but found that the magnitude and reach of their program were rather local, scanty and scattered. The UN’s programs were global in intention but lacked a global stage to present the differences it aimed to unite and celebrate. And then I searched for events that brought large numbers of people together in celebration. The search results ranged from the world renowned Kumbh Mela to large musical concerts to political rallies to papal parades. These congregations were huge, no doubt they brought over a million denizens of our planet together in one single place, but they were either religious, political or purely musical in nature – far from diverse – far from celebrating diversity. We celebrate the earth, we celebrate seasons, we celebrate love, new year, harvest, graduation, art and even food and drinks, but we have no significant way to commemorate and celebrate the different cultures of our world?! This eye opening fact was an ah-ha moment for me. We don’t have a unified forum or a global stage to present the colorful melange of world cultures. Like a mosaic that is created by assembling small and different pieces together, we could present a unified world by assembling a variety of people and culture in one place. The republic day parade in India is an example of national diversity. Similarly, the opening ceremony of the Olympics offers a stage for different countries and its people in one place – although the predominant competitive mood soon leads only the winning countries into celebration and leaves the rest a bit paler in comparison. Most global events induce a nationalistic feeling or a fierce sense of competition. Somehow, intentionally or unintentionally, they are inherently designed to divide us over our differences. They leave us with a sense of us-versus the-rest-of-the-world sentiment. In addition, political issues that make daily headlines reinforce our differences and further polarize us. No wonder our religious, national and racial identities are stronger than our alliance as humans. We are ingrained to unite over superficial human attributes like color of hair, eyes, place of birth, mother tongue and so on, while we overlook human emotions and values that are universal. You would agree that the basis of most regional and global conflicts is this very parochial sense of belonging. Just like language, culture can bind or divide. 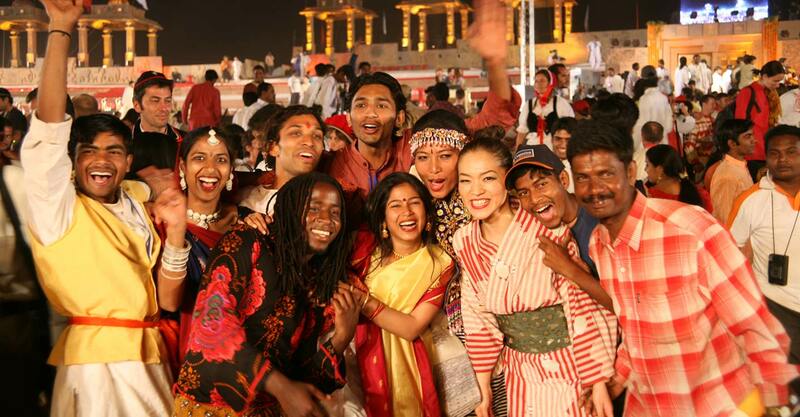 Thats why the world needs an event like the WCF 2016 – to unite our cultural differences. When 158 countries, a hundred or more languages and cultural performances take the same center stage it instills a sense of belonging and oneness that would transcend national borders, languages, religions and physical appearances. Diverse congregations like the WCF could potentially soften inter-religious strife that has over the last decades led to the loss of innumerable human lives. Beyond all of the above reasons why the world needs the world culture festival, the fact that WCF 2016 will be hosted in the capital city of India seems befitting in many ways. India is a land of many colors and diversity. The world culture festival gives India a chance to demonstrate its key essence – unity in diversity.